Two years ago, Lead Investigator David Scott of IPRA, was filming a short documentary about Bachelor's Grove Cemetery in Midlothian, Illinois. As he was walking down a trail towards the exit of the cemetery he saw something that changed his life forever. An apparition had moved directly in front of him and vanished behind the largest tombstone in the cemetery. David proceeded to run for his life until he reached his vehicle over a mile away. When safely inside of his car he began to play back the footage of what he had just experienced. To his surprise he had captured the apparition on film. Since that night he has been dedicated to document paranormal activity and show the world that it is real. He began to visit every haunted location that he could get his hands on, filming everything from a point of view perspective. His work caught the attention of Paul Skertich. Paul contacted Dave through e-mail and suggested they work together on a case. Their first investigation together was at Gypsy Cemetery in Crown Point, IN. Their investigation bore amazing results with a "Grade A" EVP (electronic voice phenomena) which they caught on their camera's audio. David decided to work with Paul continuously and together they formed The Illinois Paranormal Research Association. Since then they have investigated over 150 haunted locations and have compiled an impressive amount of paranormal evidence. 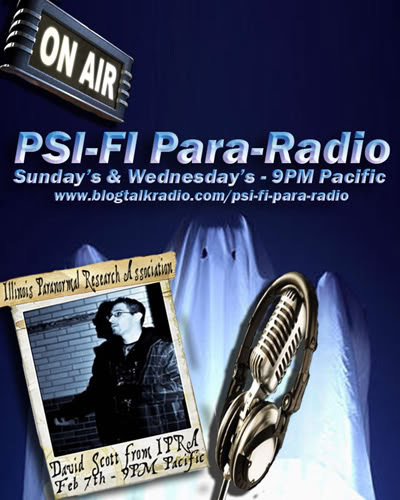 Their goal is to supply the world and the paranormal community with some of the most authentic footage ever captured. With so many phony videos floating around the internet, they hope to reclaim the name of Authentic Evidence. The team also offers free investigative and training services.